About video game addiction. From previous posts you will probably already know that Dr Shock is somewhat skeptical about video game addiction. He’s also somewhat biased because he enjoys video gaming. The definition used in a recent article published on the prevalence of problematic video gamers in the Netherlands does come close to my opinion. The subject interested me especially since it was a Dutch population studied about this subject. In this study subscribers to a national panel which represents the Dutch population were invited via email to participate in an online survey. In total, 3,200 subscribers were invited to participate in the study before the number of 900 respondents was reached (nonresponse was 72 percent). They measured problematic game behavior with a subjective measure. Almost half of the participants used video games, age range: 14-75 years, mean age 38,7 years. Two third were women. Gaming was the most prevalent among adolescents and young adults, prevalence decreased with age for both men and women. In short: gaming is a a wide-spread harmless leisure activity across the whole Dutch population. 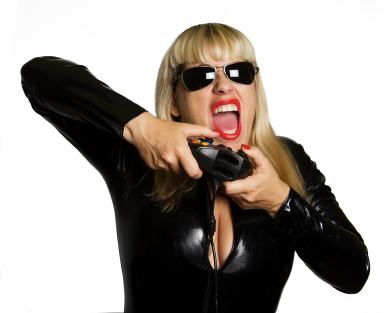 About 1,3% might be considered as problematic game players. Among young adults and adolescents problematic gaming might occur in 3.3% of cases. A remarkable finding is the overall higher prevalence of video game playing in women compared to men in this sample.